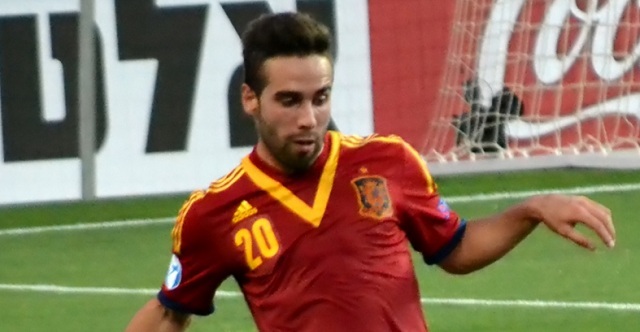 Premier League strugglers Chelsea are looking to bolster their backline with the signing of Dani Carvajal, according to reports from the Daily Star. Chelsea have most certainly enjoyed a turnaround in fortunes since the appointment of Guus Hiddink as manager but the Blues still have a long way to go before even thinking about finishing in the top four this season. In order to give Chelsea a better chance of earning a Champions League spot, Hiddink has been looking to strengthen his squad during the January transfer window and the Dutchman is expected to secure the services of duo Alexandre Pato and Matt Miazga within the next few days. In addition to Pato and Miazga, Hiddink is looking to add a more experienced defender to his ranks as well this month and now according to reports from the Daily Star, it can be revealed that Chelsea are considering an ambitious swoop for Real Madrid defender Dani Carvajal. Claims have been made that Chelsea are confident of signing Carvajal as the defender faces competition for a starting berth at the Santiago Bernabeu from Danilo and the Blues are expected to make their move within the next few days.